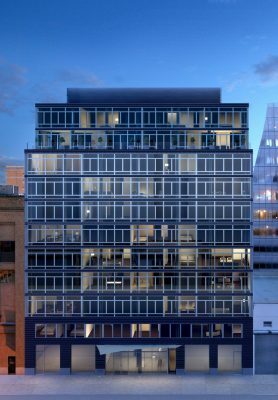 The Dallas Architecture Forum is pleased to continue its 20th Anniversary 2016-2017 Lecture Season with outstanding architect Annabelle Selldorf, FAIA, the Founding Principal of Selldorf Architects. 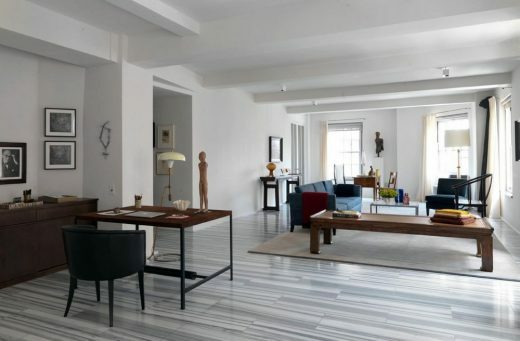 This apartment in a pre-war building was a full scale interior renovation creating a spacious living room with floor-to-ceiling windows and connecting kitchen and dining, creating a loft-like open atmosphere in the central space. 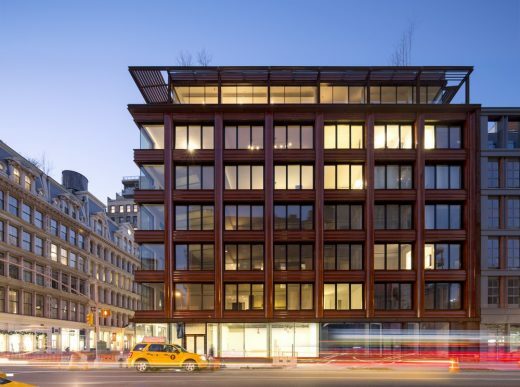 34,000 sf condominium with a sculpted terracotta façade that resonates with the materiality and craftsmanship of NoHo’s 19th century loft buildings. 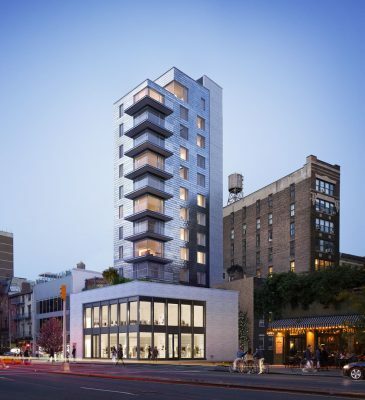 This new 13 story residential tower is comprised of two story commercial base with living units above will rise along New York City’s Bowery. 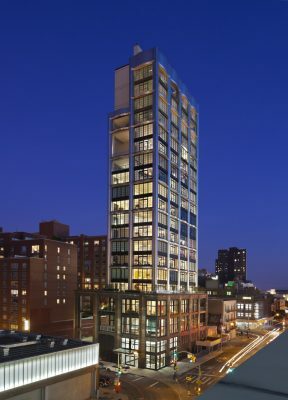 Located in West Chelsea, a rapidly developing neighborhood with an industrial past, the goal of the project was to create a contemporary design that also establishes continuity with local context. 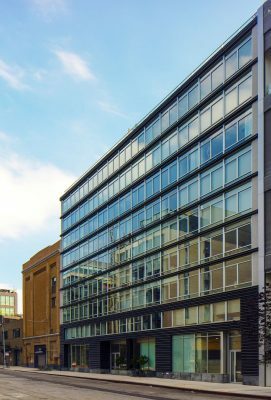 A renovation and addition to a warehouse building in Manhattan’s meatpacking district created a notable mixed-use structure. 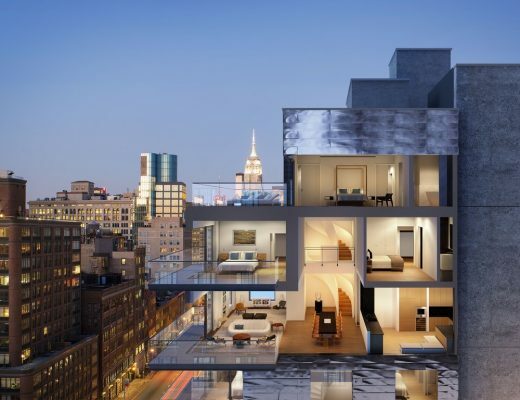 This 75,000 sf mid-block residential building is located along New York’s High Line and surrounded by other new iconic developments. 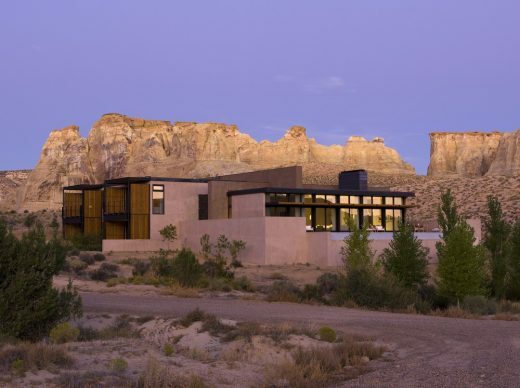 Located in a spectacular high desert setting, the Mesa at Amangiri is planned as a collection of 36 villas designed to integrate into the surrounding landscape through their low-rise scale, and through the use of materials, colors, and textures which are complementary to the site. 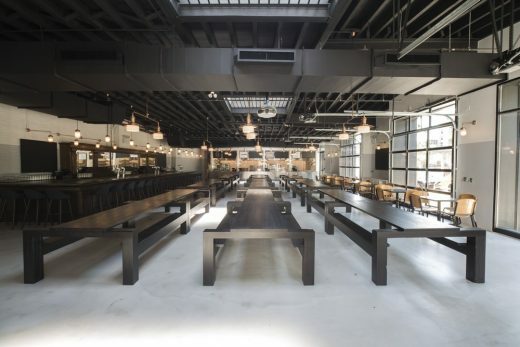 Berg’n is a new beer garden style restaurant located in a former garage and was redeveloped together with the adjacent 1000 Dean Street, a historic Studebaker service station. 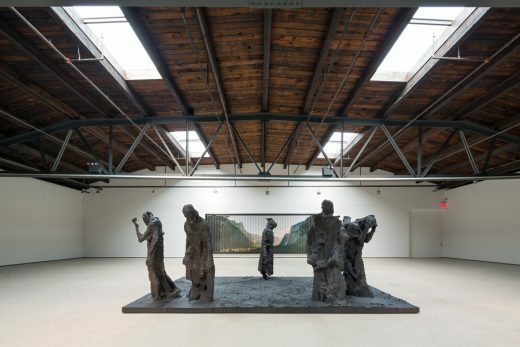 The Roxy, a former roller rink and night club was transformed into Hauser & Wirth’s second gallery in New York City—a 24,700 sf column-free space dedicated to the display of large scale contemporary art. 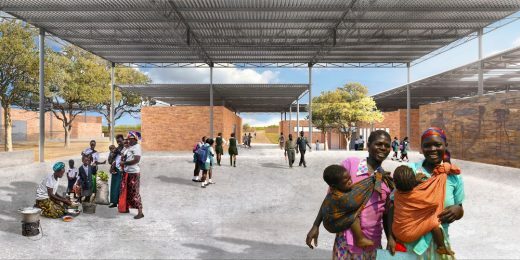 The Mwabwindo School will serve primary students in southern Zambia. The building’s design is inspired by the tall, singular trees on the surrounding savanna that serve as gathering spaces shaded from the sun of the Central African Plateau. 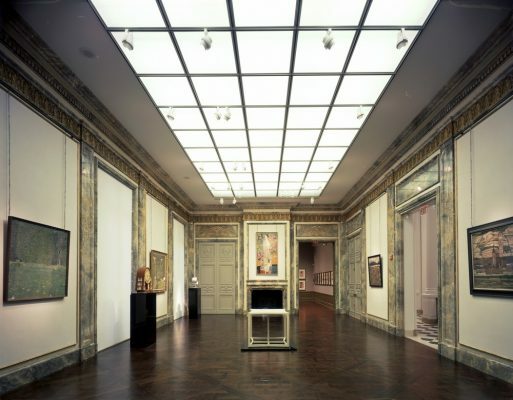 This Neue Galerie is a museum for German and Austrian Art that is located on Manhattan’s Museum Mile; the transformation from dilapidated mansion to world-class museum required an extensive restoration of the exterior and full renovation the interior. 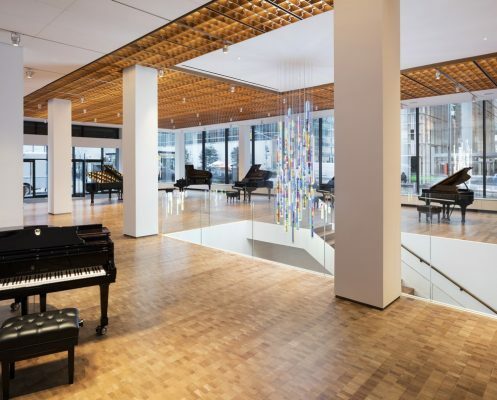 The new Steinway Hall has light-filled showroom with expansive windows, a central open stair that connects the showroom to the recital hall, recording studio, and concert artist space on the lower level. Located within the White River National Forest Mountain Range at an elevation of 8,200 feet, this home was design to face a manmade pond with spectacular views of the surrounding Gore Range and New York Mountains. Pietro Belluschi’s Manton Research Center (1973) is located on the campus of the Clark Art Institute, in Williamstown, Massachusetts. 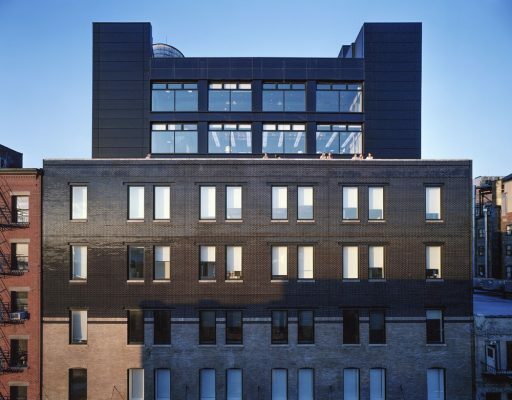 This granite-clad library and study facility has a somewhat blocky exterior, Manton was “well-conceived,” says the architect for the just-completed renovation, Annabelle Selldorf, principal of Selldorf Architects in New York (acting with Gensler). The Clark Art Institute in Williamstown opened its expanded and reconceived 140-acre campus on July 4, 2014. 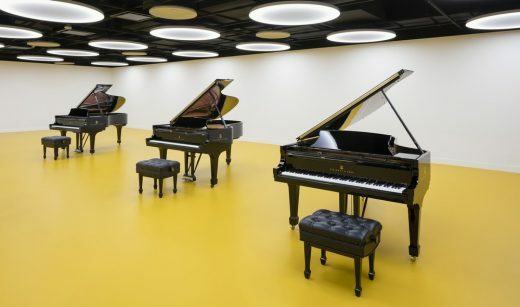 The multi-phase project, nearly fifteen years in the making, reconceptualizes the visitor experience of the Clark and represents the most significant transformation of the Institute since it opened in 1955. 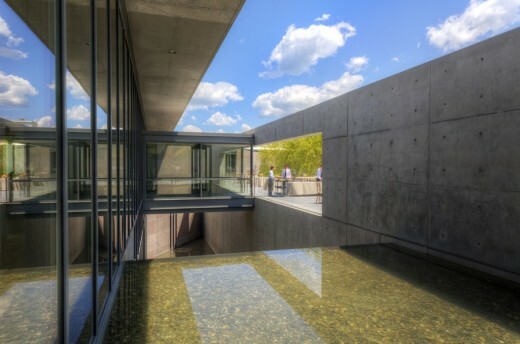 Combining the talents of four noted architects, the project unites the new Clark Center—designed by Tadao Ando Architect & Associates, Osaka, Japan—with the renovated Museum Building and Manton Research Center designed by Selldorf Architects, New York.